If I was to ask you to think of the most idyllic tropical destination in the world, the Maldives will probably spring to mind. With over 1200 islands spread over 26 atolls, azure lagoons and sun-bleached sands, the Maldives certainly offer up luxurious island living. But with overwater villas (like these incredible ones at Soneva Jani) costing an average of around $1000 per person a night, the Maldives aren’t exactly a wallet-friendly destination. If you have your heart set on a Robinson-Crusoe style vacation, yet the budget doesn’t quite allow for a Maldives trip, fear not! 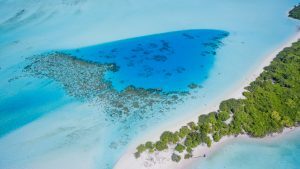 We’ve scoured the world for the most beautiful beaches, to bring you the top four cheap Maldives alternatives that you need to know about – so you can vacation without that hefty price tag. 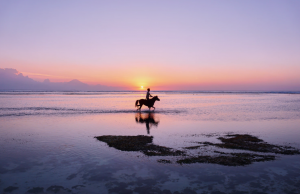 Have you heard of the Gili Islands before? They are three, teeny-tiny, palm-fringed islands that sit just off the northwestern shores of the island of Lombok in Indonesia. Each of the islands have their own unique character and attract different crowds year-round. If you’re looking for that Maldives-style vacay, then we recommend avoiding Gili Trawangan island – more commonly known as Gili T. This island is a mecca for party-loving backpackers, and although it does have some pretty nice resorts, often the pumping sounds of nearby parties can echo down the beach at night. Instead, plan a trip to the quieter, and arguably more beautiful shores of Gili Meno or Gili Air. 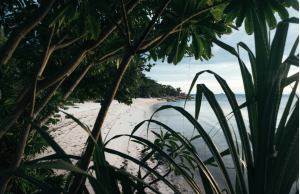 Gili Air is an excellent choice if you want to scuba dive in the marine-filled waters, enjoy oceanside candlelit dinners, or get your yoga on. Gili Meno is the smallest of the three islands and has earned the nickname of the ‘honeymoon island’, making it a great choice for loved-up couples. It truly is a place to disconnect from the outside world and reconnect with nature. Popular activities include sipping on freshly cracked coconuts, strolling barefoot along the beach, and reading a book in a swaying hammock. The local food is excellent, and you can feast on simmering coconut curries, spicy noodles, and freshly barbecued fish for just a few dollars. If you’re thinking of heading to the Gili Islands, then the best time to visit is between the months of June and August and in December and January. During this time the weather is at its best, and you can expect long hours of golden sunshine and cloudless skies. Getting there is pretty easy too: You can fly to Bali and purchase a minivan and boat package that will take you to your chosen island. Alternatively, you can fly to Lombok International Airport and take a minivan to Bangsal Harbor and then make the short ferry trip from there. Overall, the Gili Islands provide a very affordable alternative to the Maldives. And with a little research, you can stay and eat there for a week for less than the cost of a Maldives hotel for one night! Another holiday hotspot is the beautiful island of Ko Lipe in Thailand. This island is perfectly positioned in the southwest of Thailand. 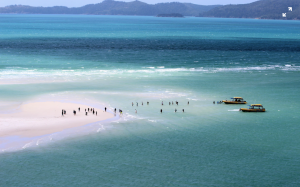 In fact, it’s so far south, that it’s only 30km away from the Malaysian island of Langkawi. Koh Lipe is most famous for its coral-rich waters, rock pinnacles, lush jungles, and a pretty impressive sandbar which juts out into the Andaman Sea. At less than 2 miles wide, this small island is only home to three main beaches: Sunrise, Sunset and Pattaya beach. Sunrise Beach has the best stretch of swimmable waters as well as a lovely chilled, summertime atmosphere. It’s the perfect place to spend lazy days with your toes dipped in the sand, and your nose in a book. Massages seem to be a favorite pastime here too, and with an hour-long massage costing less than $10, it’s not hard to see why. Local delights to sample are the famous pad thai, creamy massaman curry, and mango sticky rice. Fresh fruit shakes cost less than $1, while smiling Thai bartenders serve up handcrafted refreshing cocktails to sip on at sunset. Another great thing about Ko Lipe is the sheer variety of accommodation options that are available. From simple bamboo huts set back in the jungles to luxurious five-star resorts and villas, this island really does have it all. Just be sure to book with plenty of time in advance, as the best rooms get snapped up pretty quickly. Once a ‘secret’ spot for adventurous travelers, Ko Lipe has blossomed to become one of the more popular islands in Thailand. So don’t expect secluded beaches and empty streets. However, there are a number of paths and trails over the island, so if you don’t mind a little exploring you can certainly discover some hidden gems. There are no cars allowed on the island. Instead, you can travel around by bicycle or by hopping onto a small motorbike tuk-tuk, which will transport you and your luggage to your chosen hotel. The island is easily walkable too, and you can stroll through the shop-lined Walking Street to get from one side of the other in less than 15 minutes. Getting there may take a little extra time, and you will need to plan your transfers carefully. You can fly into Bangkok International Airport, take an internal flight to Krabi or Phuket and then jump on the ferry from there. Alternatively, you can fly to Langkawi in Malaysia and take the ferry across that way. Ferries depart once or twice a day during the high season, but run much less frequently during the low season, so double check timings before you depart. Located on the most northern tip of Palawan island is the stunning town of El Nido. This town does have a different landscape to that of the flat Maldives, as it’s framed by jagged rocks that poke their heads out of water so turquoise blue it looks photoshopped. 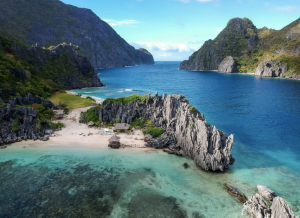 Yet, it is undoubtedly, one of the most beautiful travel hotspots in the East, with sandy coves, hidden caves, and beautiful beachside bungalows. The high and dry season runs from the months of November to May. If you’re a sun bunny, then we recommend planning your trip to fall in these months. Beware though, El Nido is no longer the sleepy town it once was, and these months are jam-packed with tourists and come with much higher rates too. You can dodge some of the crowds by booking a private villa or by choosing to stay at a resort that’s located away from the busy town center. If you want to experience things when crowds are thinner and prices are way lower, then consider a trip between the months of June to November. However, things can get a little monsoon-like between July and August, so we recommend avoiding those months. El Nido is home to a range of sites which will please those who want a little more than just lazy beach days. Sign-up for an island hopping tour and you will be whisked around deserted islands, and through beautiful lagoons for a fraction of the cost of a Maldives boat tour – even if you choose to hire a private boat all to yourself. Another highlight is the freshwater Nagkalit-kalit waterfalls. You’ll need to hire a guide and hike around 30 minutes to get there, but it’s totally worth it. Other popular trips and tours include ziplining, overnight island camping, cliff climbing and jumping, scuba diving and of course, massages. Accommodation options are varied, and budget travelers will find incredibly great value hotel rooms in Town Proper. If you’re looking for a more luxurious beachfront resort, then Corong-Corong is where some of the best-rated boutique hotels are located. Restaurants also line the beaches and town center, although don’t pick your eatery based on Tripadvisor reviews alone – as many people report that they are rigged. Instead, ask your hotel or fellow travelers for recommendations and you’ll be sure to find some good spots. El Nido is served by Lio Airport El Nido, and regular Airswift flights fly there from the Capital Manilla. Puerto Princesa Airport is only a short car ride away, and it’s a good option if you’re looking for a large range of flights from islands in the Philippines or Indonesia. There are also a range of ferries available, although their departure times often vary and they can often be canceled during rough seas in the low season. We recommend going to El Nido is you’re looking for an incredibly great value tropical holiday with all the trimmings. Last on our list, but no means least, is the beautiful Whitsundays. With blinding white sandbars, and twinkling waters, this truly is a special destination like no other. The collection of 74 islands are positioned just off the Queensland coast and form part of the Great Barrier Reef. The crystal clear waters are filled with marine life and beautiful coral reefs, which make it a particularly popular spot with keen scuba divers and snorkelers. One of the best ways to explore the islands is by sailing boat. 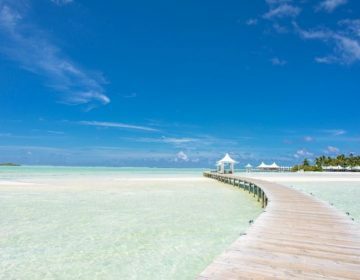 A few of the larger islands have luxury resorts, and while these are a lot more expensive than those found in the destinations listed above (at around $200AUD a night), they are still a lot cheaper than those in the Maldives. If you really want to travel on a shoestring, then you can get back to nature and stay at one of the 21 campgrounds where pitches start at just $8AUD a night. The highlight has to be the 3-mile stretch of pristine beach called Whitehaven. Hailed as one of the most beautiful beaches in the world, you can easily spend a few days here relaxing and unwinding on the silky soft sands. Wildlife-lovers will appreciate a trip to the island of Hook, which is a playground for sea eagles, turtles, dolphins, ospreys, and manta rays. If you’re lucky enough to visit between the months of June and September, then you may even spot humpback whales playing in the Whitsunday Passage. It’s worth being aware that box jellyfish sometimes make an appearance in the waters, particularly between the months of November and May. Your skipper will be able to inform you about the current situation, and you may even have to wear a neoprene suit to protect yourself when swimming. Getting to the Whitsundays is relatively easy. You’ll need to hop on a plane to the Great Barrier Reef Airport on Hamilton Island, or to the Whitsunday Coast Airport in Proserpine. You can also access the islands via a ferry from the Airlie Beach, which is also a great spot to try skydiving – if you’re brave enough. 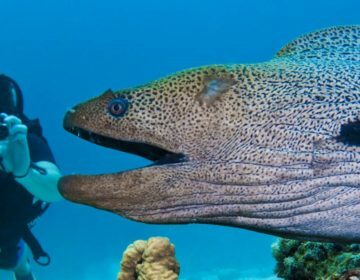 Overall, the Whitsundays are a great holiday destination to visit if you love all things underwater, and have a slightly larger budget to play with. 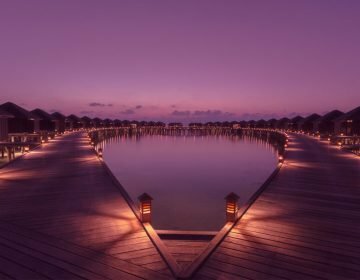 If you’re still not sold on these Maldives alternatives, then you may want to do a little detective work to try and secure some of the best Maldives deals on Maldives . There are several ways that you can find cheap Maldives flights, Maldives hotels, and cut-price Maldives holiday packages. There are a range of affordable places to stay available now, take a look at the lovely New Moon Village Resort, as well as the West Sands Resort which has a wonderful buffet. Guesthouses and Airbnb rentals are also springing up on some of the local islands, and they provide a cheap alternative to those luxury resorts. Check out our article on how to find the best Maldives deals for some of our best tips. If you want to learn more about Maldives holidays then head here for our full guide. Happy travels!